Summer Internships last approximately 12 weeks beginning in May. During the summer, interns are given 1 to 3 projects to work on real solutions to business issues and/or create new programs for our Company. Projects are determined in late April for the up-coming summer and consist of a wide variety of challenges. At the end of 12 weeks, each intern will present their accomplishments to the senior leadership team, their managers and peers. To gain a better understanding of our intern projects here at Belden, please review the past intern projects summarized below. "My experience with Belden this past summer has been incredibly beneficial to my professional development and personal growth. Belden gave me insight into what my future career would be like in reality, experience I could not get in a classroom. I was purposefully given a challenging and meaningful project that allowed me to make an impact on the company as it will be implemented going forward. I was challenged to think independently, but also had a strong network of support from my peers, manager, and mentor. Everyone at Belden knows that teamwork leads to success and was always willing to help me accomplish my goals. I would strongly recommend an internship with Belden to anyone looking to be challenged, learn a lot, and make an impact." "From being able to learn from professionals in a fast-paced environment, to being offered the opportunity to make an impact on an actual facility through meaningful projects, or given the chance to develop skills that go beyond a classroom or textbook, Belden has supplied me with knowledge experience that will be invaluable as I make my transition from student to professional. As a Belden associate, I was welcomed into a community of professionals that were ready to help, listen, and engage in conversations that addressed any suggestion or question that I may have had. I am more excited about the future having had this level of involvement in such a well-established corporation!" "Through my internships with Belden I have grown my knowledge of the engineering world and its ability to reward those who strive towards results. Belden has given me the opportunity to see real product lines nurtured through full development cycles, from the design theory and drawings to working in the plant with operators seeking the best production methods. The quality of these internships has developed myself as a forward-thinking engineer and has enhanced my reputation as a professional. Belden is a great place for those looking to contribute as well as to develop and make the most of their skills." "Coming to Belden after my freshman year, I had no idea what to expect. I had never worked in an engineering or corporate setting and in all honesty, I was probably a little scared. However, if there was one thing Belden does better than anyone else, it is making every intern feel comfortable. 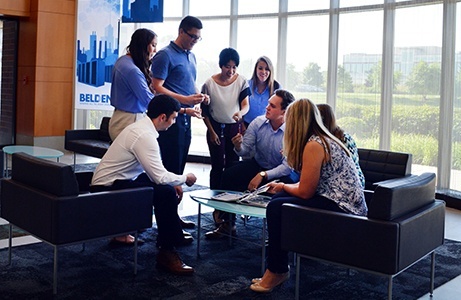 As an intern at Belden you learn more in your 12 weeks here than you could in a semester at school. The intern program is wonderfully structured, but still gives interns an amazing degree of autonomy. I felt like I was a new hire, not just an intern who would be gone by the end of the summer." "For the summer of 2015, I was fortunate enough to participate in my second internship with Belden. Much like last year, I have found the experience to be challenging on a daily basis, but in such a way that encouraged me to grow both personally and professionally. There was a supportive culture that my manager and Belden as a whole really worked to establish that never discouraged new ideas for solutions to a problem despite how radical they may be." Our Finance & Accounting teams don't just look at numbers; they unlock the meaning behind the numbers and translate them into information that drives business decisions. Attracting talent to these teams is critical to our organizational success and our internship programs are vital to how we achieve this. Internship opportunities in our Finance & Accounting teams offer current students an opportunity to work on important business projects, collaborate with experienced managers and deliver real results for the organization. During a twelve week internship students will gain hands-on experience working on creating real business solutions while also developing project management skills, interpersonal skills, and field-specific knowledge. Our internships are based out of our facilities in Richmond, IN; Indianapolis, IN; St. Louis, MO; Syracuse, NY; Elizabeth, NJ; Washington, PA; and Fremont, CA. These fast-paced positions are intended for individuals who are interested in not only developing themselves personally, but also making a substantial contribution to the company. While in the role, you will be expected to work towards goals, deliver results and present to senior business leaders. Marketing is critical to the success of an organization. It is more than just how something gets presented - it is how to effectively leverage a product's features to help accomplish the end user's desire! 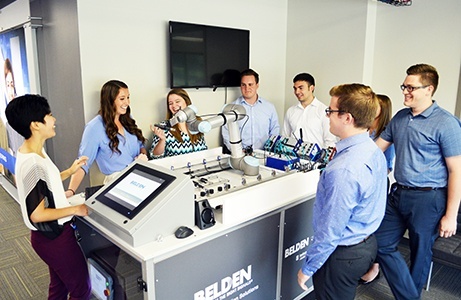 Belden's Marketing Internship opportunities offer current students an opportunity to work on important projects and collaborate with experienced managers while obtaining real results. 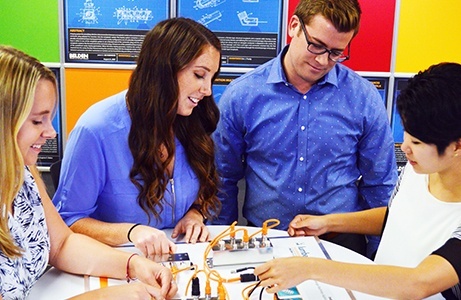 During a internship students will gain hands-on experience working on creating real solutions that positively impact the business while developing project management skills, interpersonal skills, and field-specific knowledge. The majority of our internships are based out of our facilities in Richmond, IN, and Indianapolis, IN, with other possible locations including: Monticello, KY; St. Louis, MO; Syracuse, NY; Elizabeth, NJ; Washington, PA; and Cobourg, Ontario. We are seeking enthusiastic, motivated individuals who are committed to continuous improvement and results. These fast-paced positions are intended for individuals who are interested in not only developing themselves personally, but also making a substantial contribution to the company. While in the role, you will be expected to work towards goals, deliver results and present to senior business leaders. Operations engineering is so much more than how something is manufactured in Belden - it is about how we incorporate processes into the manufacturing spectrum that drives high quality, finished products. Attracting talent to these teams is critical to our organizational success and our internship programs are vital to how we achieve this. Internship opportunities in our Operations Engineering teams offer current students an opportunity to work on important business projects, collaborate with experienced managers and deliver real results for the organization. During a twelve week internship students will gain hands-on experience working on creating real business solutions while also developing project management skills, interpersonal skills, and field-specific knowledge. The majority of our Operations Engineering internships are based out of our facilities in Richmond, IN, with other possible locations including: Syracuse, NY; Elizabeth, NJ; Washington, PA; and Chambersburg, PA.
Our R&D teams sit at the heart of our operations. They not only design the products that we sell, they make sure we can incorporate these designs in our solutions based technology and manage the product life cycle so we can drive high quality products into our markets. Attracting talent into Research & Development is critical to our organizational success and our internship programs are vital to how we achieve this. Internship opportunities in our R&D teams offer current students an opportunity to work on important business projects, collaborate with experienced managers and deliver real results for the organization. During a twelve week internship students will gain hands-on experience working on creating real business solutions while also developing project management skills, interpersonal skills, and field-specific knowledge. The majority of our R&D internships are with our wire and cable business based out of our facilities in Richmond, IN. 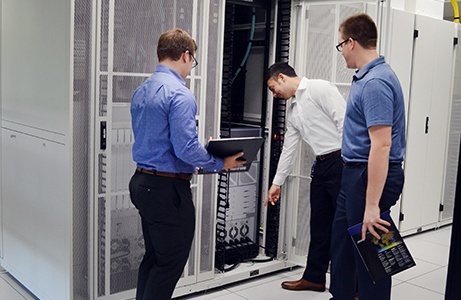 IT is critical to the success of an organization and the teams that support this area don't just have responsibility for information management, they take accountability for the seamless lifecycle of networking, systems and database operations as well as security management all of which enhance the business's ability to operate successfully. Internship opportunities in our IT teams offer current students an opportunity to work on important business projects, collaborate with experienced managers and deliver real results for the organization. 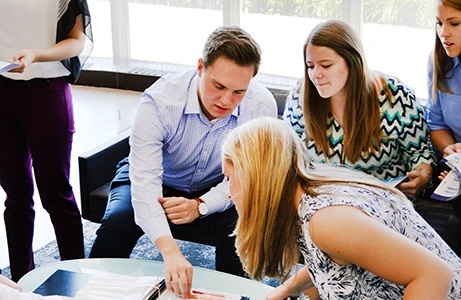 During a twelve week internship students will gain hands-on experience working on creating real business solutions while also developing project management skills, interpersonal skills, and field-specific knowledge. The majority of our IT internships are based out of our facilities in Richmond, IN.